This is an amazing musical video. Thanks for this from Flesh Addicted for this find! 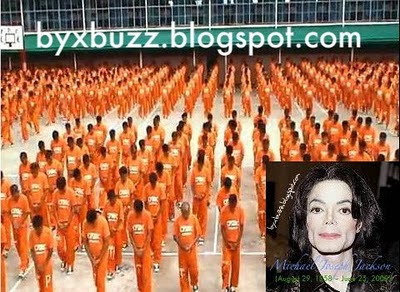 Cebu Dancing Inmates – Michael Jackson’s This Is It DVD. The “Thriller” routine of the Cebu dancing inmates captured audiences worldwide, including the King of Pop himself, the late Michael Jackson. Payne, along with two of Jackson’s backup dancers, taught the inmates at the Cebu Provincial Detention and Rehabilitation Center new routines for a special dance video that will be released to coincide with the “This Is It” DVD launch. The number was called “The Drill,” the last choreography Payne and Jackson collaborated on before the King of Pop died in June 2009. The performance was uploaded on the video-sharing site YouTube last January 22. Accessed on the morning of January 26, the video clip had already been viewed 417,610 times. The number also showed the inmates forming a huge peace sign, possibly in remembrance of Jackson, who advocated world peace. Dancers Daniel Celebre and Dres Reid also joined the inmates, who wore black “This Is It” shirts. The choreographer said it was but fitting to include a special dance number from the now world-renowned Cebu inmates for the special “This Is It” DVD launch. The Cebu dancing inmates even made it to the “Michael Jackson Opus,” the only new publication that was approved and endorsed by Jackson himself and the estate of Michael Jackson. 1,500 plus CPDRC inmates of the Cebu Provincial Detention and Rehabilitation Center, Cebu, Philippines at practice!